For reference my Dietz 2500 Jupiter lantern averages .5oz/hour consumption. Notes: The 639 produces a very crisp light (say 5200K for example) while the 220K produces as almost comparable but softer light (say 3500K-4500K). After one hour both lanterns show yellowing of light at the mantles due to pressure loss. Ten pumps at the 90 minute mark was ample pressure to bring them both back to life at full pressure. The 220K is on the left. What generator are you using to run kero in the 220? A 220 gen with 200 internals and tip? BTW, in case you're not aware, the 639 runs just fine on naphtha (Coleman or Crown fuel). This is interesting. I would have thought there would be a bigger difference between the two lanterns. The tip orifice on a 200 is .007" versus the tip orifice on a 639 of .009". @JimL - I am running the Coleman 200A5891 single mantle generator tip, cleaning rod, cardboard, and spring in my 220k generator tube. When I ran it on all 220k parts with the above tip it performed very well with an amish mix. The reason for this test is to help in my calculations for my preps. I live in a hurricane prone area so everything needs to be on one fuel and kero is my choice for my stoves and lights. The amount of fuel consumption between the 220k and the 639C adds up to about 20+gallons per lantern per year difference. Our neighboring city (what's left) is still without services after six months from the last hurricane so I'm figuring at least 55 gallons of jet fuel per lantern and stove per year so that twenty gallon difference in a lantern's consumption is really important. I just scored five gallons of denatured alcohol for $49 for my pre-heating needs. I didn't know that the 639C ran on coleman fuel. It never even crossed my mind to be honest. Do I need to swap anything out for it to run on gas ? Once I get the time I will perform some thermal testing to see what the differences are between the generator tubes to see if one of them is running hotter in an effort to judge maintenance possible issues for prolonged use during an outage. I know kero needs to run a tad hot in order to stay clean. Perhaps I can perform a test on the generator tubes over "x" amount of hours running (100 hours for example) and weigh the tubes to determine the amount of carbon build-up. The reason for this test is to help in my calculations for my preps. I live in a hurricane prone area so everything needs to be on one fuel and kero is my choice for my stoves and lights. The amount of fuel consumption between the 220k and the 639C adds up to about 20+gallons per lantern per year difference. What did you have in mind for your stoves, if I may ask? 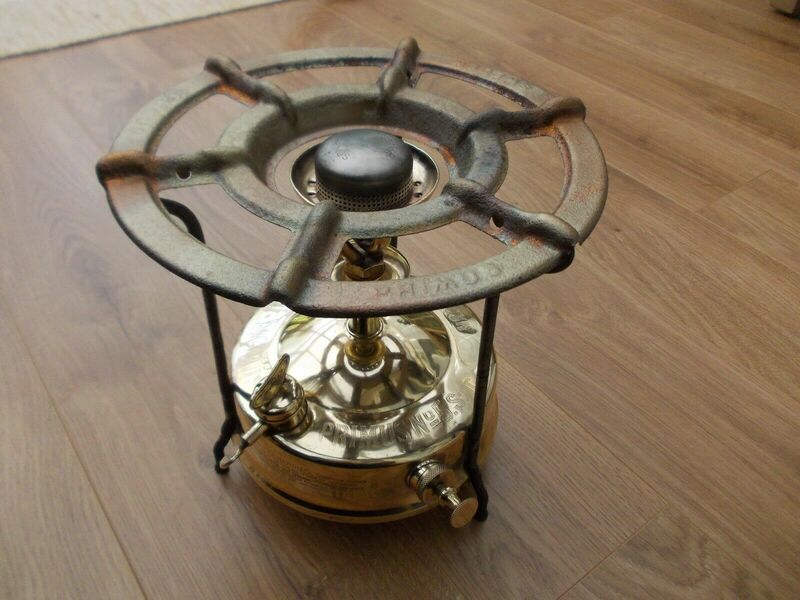 Of the many stoves that I have I primarily will use the Optimus No.5 and the trangia 25 with nova burner for most of my needs during a power outage. I do keep at least two full bottles of propane on hand at all times for my cajun burner and six gallon pot for emergency "block party" style of meals if others do not have the means to cook or eat and in case I need to boil large amounts of drinking water. I also keep 30gal of charcoal on reserve for my big green egg for all of the turkeys, chickens, etc in my second fridge and freezers #2 & #3 (commercial size) if the gas reserves for the generators get low. Looking at your question again I may have misread it. If your asking about how much fuel for the above listed stoves I am starting with 55 gallons per stove. >>I didn't know that the 639C ran on coleman fuel. It never even crossed my mind to be honest. Do I need to swap anything out for it to run on gas ? When you write 'gas', if you by chance mean gasoline rather than Coleman fuel, know that it won't burn very clean as far as the generator is concerned. Also, running kero through a generator, even in a kero lantern, won't burn very clean either. If you haven't learned how to clean/rebuild generators, now is a good time to do so. You'll be doing this every few gallons or so with gasoline. I don't know how far you'll go with kero through a generator. Preston loop generators, like on a Petromax, are better suited for kero when it comes to longevity. Your answer with the type of stove was my interest. However 55 gallons of fuel should last a long, long, time. Thank you. Using one fuel for lanterns and stoves is an admirable goal however, as Jim points out be ready with new gen's to swap out when they coke up. And yes, learning now how to clean the internals of the gen's is a good idea. I'd keep my GPA options open (RUG, CF, profane) since you never know what might just float your way down the river. Hi Jim. By "gas" I meant the gasoline for gasoline powered electrical generators that I use for keeping the additional refrigerators and freezers going when the power is out. I have to learn how to clean the lanterns generators as they get dirty. I have other stoves such as a Svea123R, various alcohol based hiking stoves, and a MSR Windpro2 for cooking with other fuels. 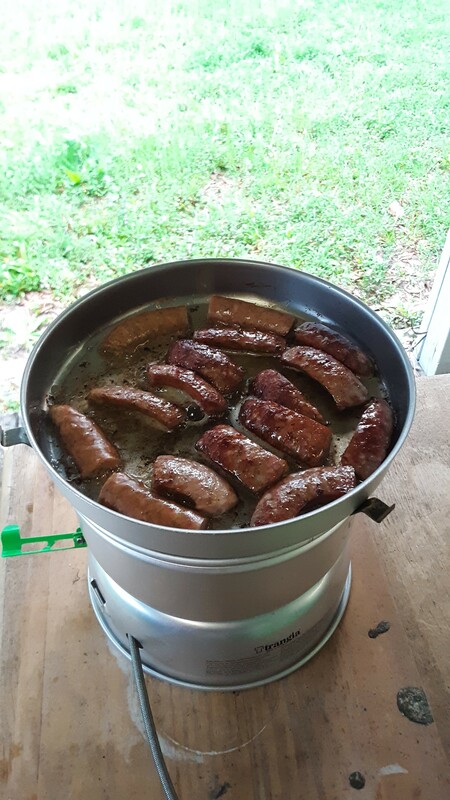 My nova stove in my trangia is my main go to due to diversity in usable fuels while the no.5 is just plain dependable. I also have a 288 coleman lantern for running CF when needed but I'm down to about 12-13 gallons of coleman fuel atm. I figure the two 220K lanterns, the nova and no.5 stoves, and enough spare parts to build five more of each item combined with 450+ gallons of kero is enough to start with for my needs. The lanterns can double as heaters since my home is small and the climate here is warm. Gasoline and kero, yeah, look at the rebuilding threads. If you clean the generators before they get bad, they're easier to clean. When fully gummed up, you'll be using the heat/quench to break the insides free. I would save the CF for stoves only. Not only will it not go bad, but it'll burn cleaner, and you won't have to be concerned with any nasty additives flavoring the food. You might want to add your first name in the control panel or signature so we can address you by that. I found some generator threads to help you get started. Although it's nice to have the ability to clean and/or rebuild a generator, there's nothing like having new ones handy, just in case. Our sponsor (click the banner at the top of the screen) will have spares. I commend you on preparing. A member here relayed a couple years back that after a hurricane, the neighborhood relied on him because of his stoves, and being able to provide hot meals. Not one learned a lesson and prepared for the next major outage. That kind of apathy blows me away. Thank you. Hurricane Michael hit only 30 miles from my home so all three month preps are now being extended to one years worth. Live and learn. After hurrican ivan hit my neighbors who were in their late 80's gave all of their food away to the needy. I came in the following day (stationed down south) with enough supplies for several families. When I arrived my downed tree was cut and stacked along with my front porch (that it destroyed) at the curb. As a community we were able to get the older couple a window air conditioner, a generator, food, fuel, and clear their debris from their yard in a single day. We had a community meal every night in the middle of the street for two weeks until the power came back on. Our wives saw to all the lunch needs for the workers. I wish that I had taken a picture of those colemans being put to work and good use but didn't even think about it to be honest. Good neighbors are hard to find. I gifted my other neighbor a coleman two mantle propane lantern and suitcase stove last week for this years endeavors. I'm hoping to fix enough lanterns and stoves to be able to gift them with a gallon of fuel each should the need arise again.